US Army Kevlar Helmet "Punisher" Camo Cover Goggles Elastic band. Size Large. WWII "Inland Style" M-1C Paratrooper M2 Airborne Helmet Liner. 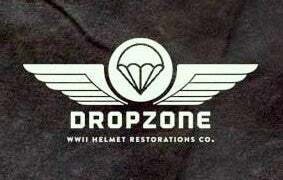 WWII Firestone Paratrooper M2 Airborne Helmet Liner. About us & helmet restoration.